Naperville Exterior, Inc. is a superb roofing damage contractor that has been serving the Chicago Metropolitan Area since 2002. Our certified contractors have experience in the harshest repairs from roofing damage, roofing storm damage, roof hail damage and roofing wind damage. Naperville Exterior doesn’t rush through their projects to move on to the next one. We inspect the whole roof from end to end making sure we take care of all the damage that was done. When you put together the high end products we use and our remarkable craftsmanship, you won’t find a more affordable option. We take pride in the effort we put into every project and are confident that the customers we work with in Clarendon Hills will feel the same way. 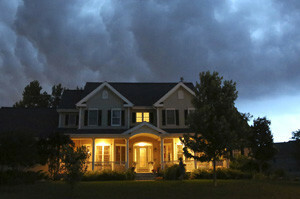 If you are living in Clarendon Hills and have experienced roofing damage contact Naperville Exterior today! Clarendon Hills, Illinois is a village based in DuPage County with around 7,600 residents. Located 18 miles west of Chicago and about 20 miles northeast of Naperville Exteriors. Clarendon Hills has hired us for their roofing damage needs for over 10 years. Clarendon Hills residents have trusted us with services including roofing damage, roofing storm damage, roof hail damage and roofing wind damage. We’re trusted because we are certified contractors that follow up our work with guarantees. Naperville Exterior is confident you will love and trust our work just as much as our other Clarendon Hills customers. Naperville Exterior has been providing high value work to the Clarendon Hills area for over a decade, helping raise home values and improve the look of your exterior. Our Clarendon Hills clients are confident in their choice because we back our work with a lifetime guarantee that is 100% transferable and always supported. Our contractors have compiled over 20 years of combined work in the industry including roofing damage, roofing storm damage, roof hail damage and roofing wind damage. If you are looking for the most cost effective and certified contractor in the business call us now! Naperville Exterior, Inc. can be contacted at (630) 254-4831 today so you can schedule and inquire about your FREE estimate.